The activist group Sea Shepherd announced late Monday night that they have successfully driven Japanese Whalers from their Antarctic hunting grounds after a 360-mile chase. The news comes just after footage was released by the group that showed the whalers processing minke whales they had harpooned inside a designated whale sanctuary, Environmental News Service reports. The captains of Sea Shepherd's three vessels confirm that the whaling fleet is scattered and currently is not hunting whales. The harpoon ships are separated by hundreds of miles. The Japanese whaling fleet was escorted across 60° S and past the northern limit of the Antarctic Treaty Zone by the Sea Shepherd ships The Sam Simon, The Steve Irwin and The Steve Irwin's helicopter. 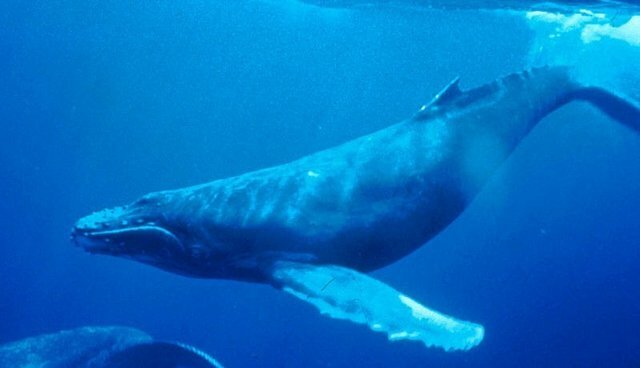 According to a statement made to Mongabay.com, because the harpoon ships are separated from the processing ship, The Nisshin Maru, the scattered ships are unable to stop to take whales. Sea Shepherd plans to remain in the area to monitor the Japanese fleet. "This is an optimistic start to Operation Relentless," said Captain of The Steve Irwin, Siddarth Chakravarty. "Within a day-and-a-half we have the entire whaling fleet in disarray." Whaling was officially banned by the International Whaling Commission's 1986 global moratorium on commercial whaling. But Japanese fleets are still able to take a yearly quota based on the pretense of scientific research and the Southern Ocean Whale Sanctuary, a 50 million square-kilometer area surrounding the continent of Antarctica where the IWC has banned all types of commercial whaling, is not recognized by Japan.